Despite the never-ending death and birth cycle of live venues, amid licensing restrictions and noise curfews, bedrooms and garages on both sides of the Brisbane river continue to deliver quality acts to the Australian music scene. Buick Six owe their beginnings to the soggy grounds of 2007’s Splendour in the Grass festival. 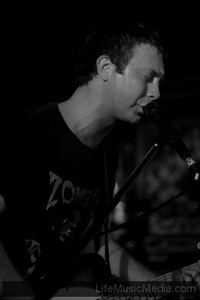 By 2008, a debut EP had appeared which captured the force of Buick Six’s Brisbane based gigging through live recording. Their new EP, Common Arms, is garage rock at its dirty, window shaking best. It is only their second release, but the songs on the record sound like the outpourings of a band well used to working and recording together. Guitar work throughout is excellent. 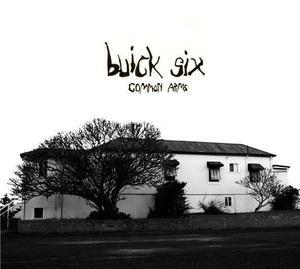 The overall feel of the record is urgent, potent, bursting – an achievement to capture on a recording, and suggesting that when viewed live, Buick Six would be a sonic explosion of grinding, grungy rock. 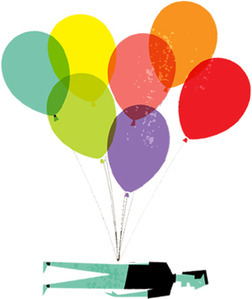 The simple bass-guitar-drums line up works in their favour, a pure outlet for their untamed energy left uncomplicated by extra musicians or fussy elements.